Making your own curry paste sounds intimidating right? Wrong. Seriously, I have recently taken a 'reckless abandon' approach to cooking via an overhaul on my perfectionist attitude and my cooking is winning (so far). What's more, if you do a simple curry once in a while, chances are you have most of this stuff in your cupboard at any given time, and you may even have something random to add, thus proving the boundless creativity that is unleashed when you throw (curry paste) caution to the wind. My fridge and dry store have been harbouring a lot of random, almost finished packets of ingredients and I have had some time on my hands over summer holidays...so here is a lovely curry base that resulted from an early morning kitchen clean out frenzy. My spice rack is overflowing and I am systematically trying to put all the random spices I pick up on my travels into some sort of order, or at least matching jars, as the Gemini in me is want to do. I also fear the humidity and moisture of the Barcelonian summer will claim my beloved spice rack if I don’t turn over the ingredients fast enough. My dried garlic powder has already turned into a chewy lump of gum in the jar and I fear the others are going to meet a similar fate. Keeping nori seaweed, nutritional yeast, almond meal etc dry and away from the evils of moisture in this city is quite a task. Hence, the following recipe is a rough guide, based on the little packets that come flying out of my overhead spice pantry, feel free to make your own version, in fact please do and share it with me as this one is unlikely to be repeated exactly and any new additions are now welcome in my anarchistic kitchen. Of course if you like a hotter style curry add the fire via chillis fresh or dried but this mild version is wonderfully fragrant, perfectly spiced and full of warm, earthy flavours. 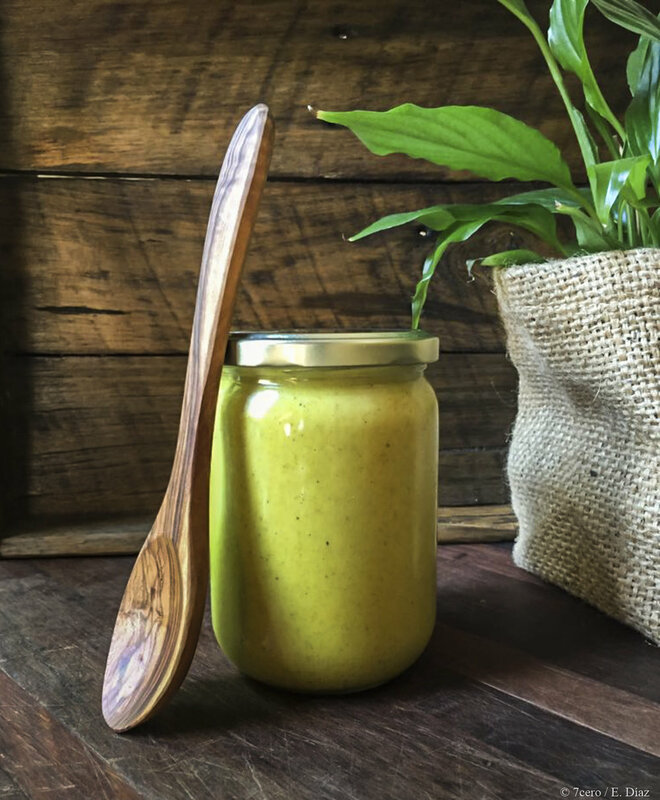 Once you make your own, you'll never buy curry sauce again...it's so, so much better. Place everything in a blender and wizz on medium for 2 minutes. Place in a clean glass jar in the fridge for a day to let the flavours develop. When ready to use, stir it in with some browned onion and let it fry for 2-3 minutes and then add some 2cm cubed vegetables (sweet potato, pumpkin, carrots, eggplant etc.) and tofu or mushrooms. The paste works as a simmer sauce until vegetables are cooked. Dilute with vegetable stock or more coconut milk to make thinner or to make bigger volumes of curry. To thicken sauce, add ¼-½ cup of almond meal 10 minutes before you finish cooking the vegetables. Serve with your favourite rice, pappadums and sliced banana rolled in dessicated coconut, and/or some natural coconut yogurt. Oct 9 Smokin' hot Tofu, what?